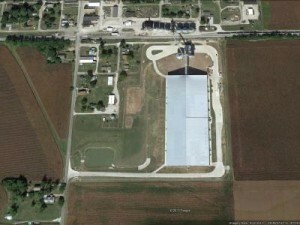 SKS Engineers began working with Cargill Inc. at their Dana, Indiana facility in 2007. 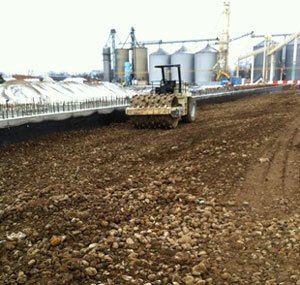 Initial services provided by SKS Engineers included subsurface investigation of the soils on their property in areas where Cargill planned to expand their grain handling and storage facilities. From this soils investigation SKS Engineers generated a geotechnical report that included recommendations for the design of foundations and pavements at this site. 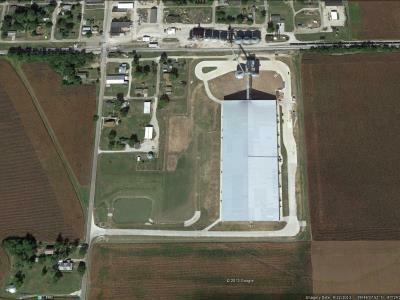 In 2011, SKS Engineers entered into an agreement with Curry Construction of Mattoon, Illinois as their “Engineer of Record” for major expansions at this facility. 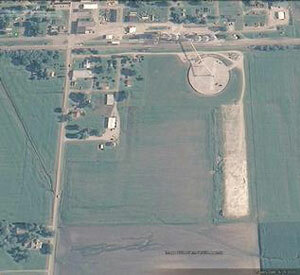 SKS Engineers provided structural engineering design services for a 350’ X 800’ flat storage building, a complex dump pit and tunnel and foundations for a tower, dryer and storage bin. 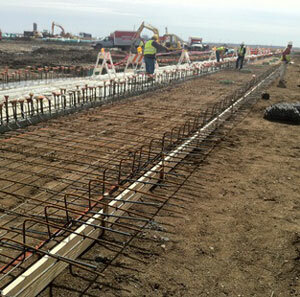 In addition, we provided site development services, which included pavement design, site drainage and storm water detention. Taken into consideration during the site development design were the location for future structures and truck traffic flow patterns. 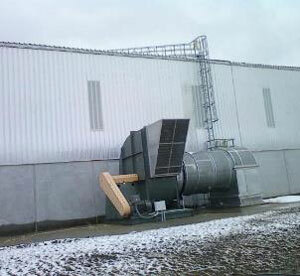 An important component in grain storage and handling is aeration and SKS Engineers sized the fans to provide the needed aeration. We also designed the electrical distribution system which serves the aeration equipment, conveyor systems and other equipment in this plant expansion. 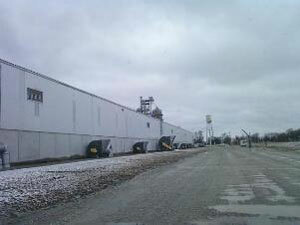 Throughout construction SKS Engineers provided construction material testing and inspections. 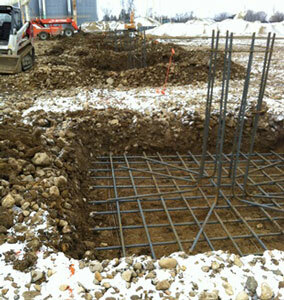 Concrete and soils were tested to assure the quality of construction materials met the specified requirements. 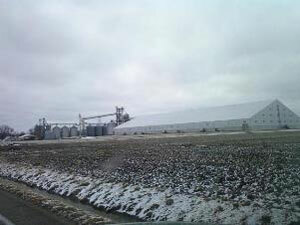 These additions, completed in 2013, have added 9.2 million bushel capacity to this Cargill facility.